Where you’re a home business or large commercial firm – we have the storage solution for you right here. Our facility has small lockers to double garages available with great long term discounts. But, yes, we do have short term storage solutions too! We can supply you with 24 hour access available upon request. Use our FREE delivery and dispatch service – all your deliveries stored safely with us until a time convenient to you. As for tradies, our medium and large drive-up self storage units are perfect for tradesman needing a safe place to store tools and equipment. 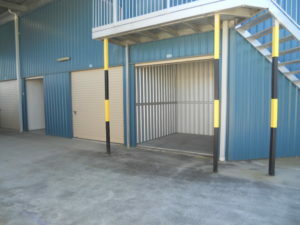 We even have room to store your truck or trailer right here at Robina! “U-Can Store It has helpful, friendly staff. Taking deliveries was a definite help” – Wayne Yealands, Carpenter.